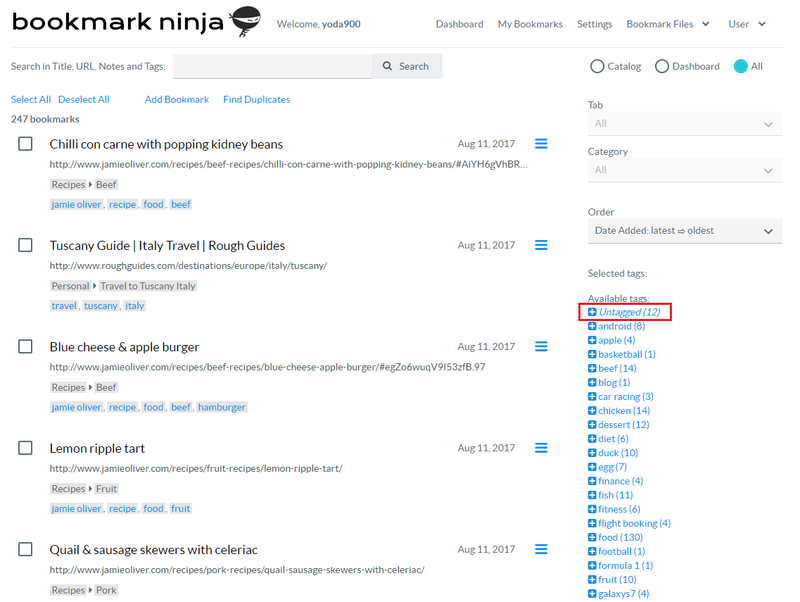 Until now you could sort the bookmarks on the My Bookmarks page by "Date Added" and "Date Updated". From now you can sort the bookmarks by alphabetical order of the bookmark titles. Click on the Order drop-down list an select "Title: A→Z" or "Title: Z→A". 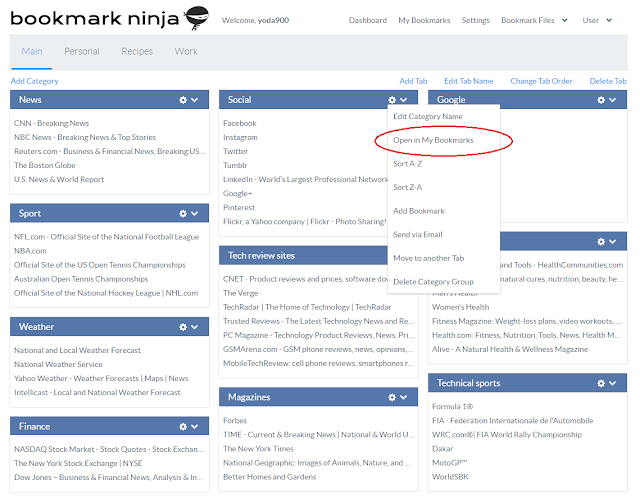 If you are on the Dashboard and decide to do a bulk operation on all the bookmarks of a Category (adding a tag or moving the bookmarks to the Catalog or to another Category) then you have to go to the My Bookmarks page, select the Dashboard radio button then select the Tab and Category. That's a total of 4 clicks and the page also reloads 4 times. From now you can achieve this with 2 clicks and 1 page load. 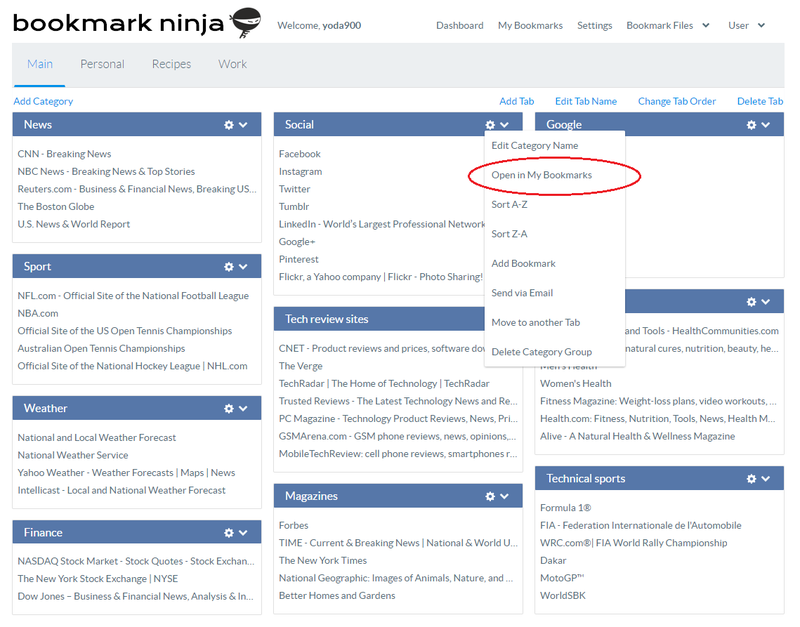 There is a new menu item "Open in My Bookmarks" under the Category menu (icon gear in the Category caption) on the Dashboard. 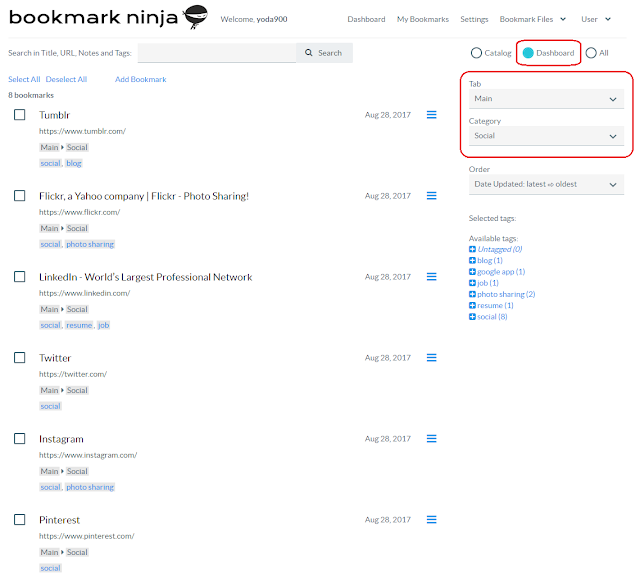 Click on "Open in My Bookmarks" and the My Bookmarks page will be loaded with the Dashboard and the corresponding Tab and Category already selected. 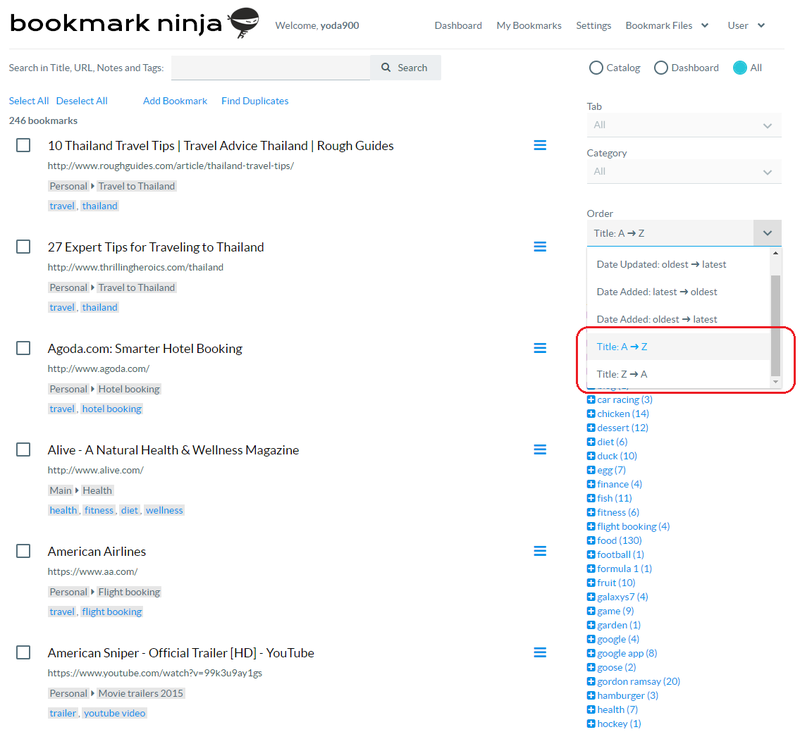 From now you can select the untagged bookmarks on the My Bookmarks page. 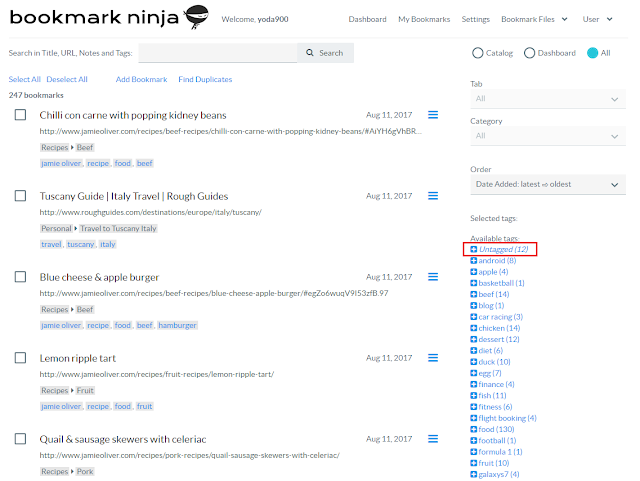 When no tag is selected, the first item in the available tags list will be always Untagged. Click on Untagged to display the untagged bookmarks.